This just in: Your face matters. Yup. Well, there is a good chance you already knew that, actually! Our face is one of our most important physical features – go figure. It’s what people generally look at, so you’ll want to make sure that it’s looking its best. Some people decorate their faces with tattoos and piercings. Some people wear jewelry. Some have a beard or mustache. Many of us are looking for ways to age with grace, particularly when it comes to our face. Because our face is out there, literally, and exposed for a large amount of the time, it could potentially be one of the first places where age starts to catch up and show its colors. When it comes to aging gracefully in the facial area, there are all kinds of ways to go about it. Smoothing out wrinkles and clearing spots and blemishes are on many people’s to-do lists, and one way to get that done is by using a facial serum. What is a facial serum, you ask? Buckle up and read on. A facial serum is, in essence, a lighter version of traditional moisturizer. By “lighter,” I mean to say that it is a substance which dispenses the heavier elements normally found in everyday moisturizers, and keeps things pretty minimal. Face serums are not a necessity by any means, but they can provide those who use it with an additional layer of hydration and vitality throughout the day. It is not a standalone moisturizer, but an addition. 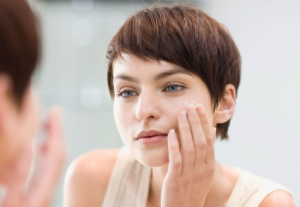 It can be applied during the night or day, and this depends on your current beauty routine. DIY facial serum for acne. Vitamins and essential oils are what form the basis of any proper serum, I think. In regards to clearing up spots and pimples, you’ll have to experiment a little and see which oils match your skin type, as well as your current beauty regimen. Many times, acne is the result of dirt or grime, combined with an imbalance of sebum – the natural oil of the body. There are different types of spots (white head, black head, red head, etc. ), and it is important to know what it is exactly that you are up against. If you feel more comfortable getting diagnosed by a dermatologist, and only then applying a different remedy, that is a viable option. I’ve done that in the past. There was a time when I had some ongoing issues with dry skin around my eyes and on my forehead, and I went to an MD to get it checked out. I am not poo-pooing Western medicine. It is amazing in its own way, and I have tons of respect for it. But, on the other hand, before harsh detergents and cleansers made their way into our medicine cabinets, there were herbs, oils, salts, and, well, water! NOTE: With some chronic skin conditions, the use of a face serum could actually make the situation worse, which is why I got myself checked out by an MD before I began any treatment. Once I knew my condition, I was better prepared to handle it. The basic recipe for all natural serums consists of carrier oils and an active oil. That is pretty much it. It doesn’t have to be any more complicated than that, but then again, this depends on what you are currently using. It is best to take a glass vial, add a carrier oil of your choice, and then an essential oil of your choice. 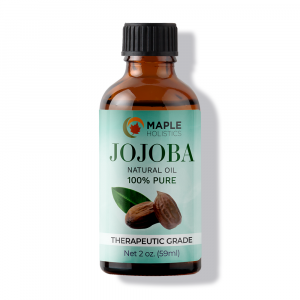 If you have acne that you’re trying to get rid off, an oil such as jojoba oil can be very beneficial. This is because it resembles the sebum to a great degree. 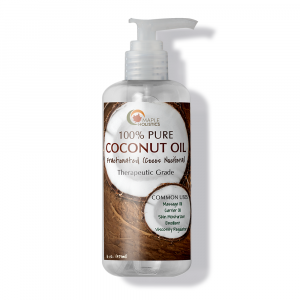 Argan oil and coconut oil. 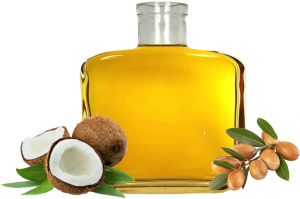 Other essential oils which are very popular are coconut and argan, and there is a reason. These two are some of the best ingredients for sensitive skin. 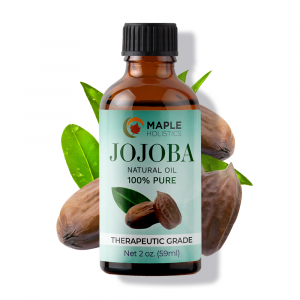 Much like the jojoba oil which I mentioned earlier, these two have the ability to penetrate, hydrate, and replenish the (possibly) depleted stores of natural oil. 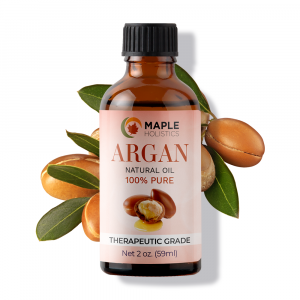 Argan’s claim to fame originally had more to do with the scalp and hair, for me anyway, but it also works wonders on the facial skin. Again, it is all about finding the right combination for you. 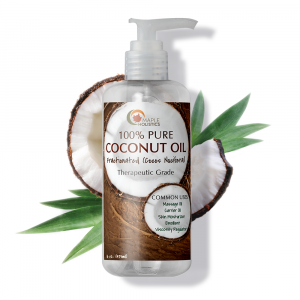 Coconut oil is known for its health benefits, and for this reason it can be found in so many cosmetic products. Both of these oils have the power to fight bacteria and other unwanted elements which try to attack your skin, inside and out. Using them on a regular basis – but in moderation – can help to solve a lot of issues before they actually become issues. Contrary to what many believe, you don’t need to have a specific problem to use a moisturizing agent. You don’t need to have dry or peeling skin to use a serum. A face serum can help your skin stay smoother, tighter, and younger. Maple Holistics offers a serum comprised of vitamins C, E, and A, as well as aloe vera, algea extract, and severals healthy acids. It is a pure way to get those anti-aging ingredients into your system. It can aid in battling discoloration, wrinkles, line, and spots. Obviously, you still need to watch what you wear, use sunscreen when outside, and treat your face with care. A serum, as I said, is not a necessity, but rather an addition. Maple Holistics’ serum provides protection from potential UV ray damage, and it can also help to reverse any sun damage that has already been done. Looking to learn more about DIY cosmetics? Learn how to make your own DIY Foundation while you’re here at Maple Holistics! A facial serum can help add another layer of protection and hydration. While it isn’t a vital ingredient of a beauty regimen, there are many benefits to reap, especially with prolonged use. Over time, the serum you use can aid in not only reversing damage, but in fortifying your defenses and keeping your face looking fresh and toned. Remember – like many other cosmetics products, what works for you may not work for another. Or rather, not quite as well. You may need to do some more research, before you find a serum which fits your needs. And again, if you have a medical condition, it is best to consult with a health care professional of some kind. Be kind to your punim, my friends, and it will be kind to you in return.